Mastering style through speed, these state-of-the-art digital tools incorporate the most important ingredients combined with cutting-edge designs. 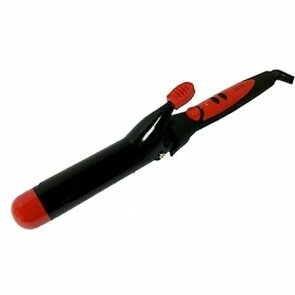 The digital temperature LCD screens display the tools temperature, for customized styling on any type of hair. Select HAI Styling Tools also feature an energy-saving safety sleep mode, which shuts down the tool off after a set period of inactivity. Innovate product designs such as the Tong with crescent moon plates or the ROD with a unique cone design, push the limits on standard styling tools. Ceramic Fusion Technology with PTFC Heaters generates the most evenly controlled heat across the entire surface of the plates for the quickest temperature recovery time and fast precision styling. Six layers of ceramic technology are fused together offering a non-porous evenly heated surface that is much faster in heating and styling than 100% ceramic plates. Optimum Resonant Material (Nano Tourmaline+Serpentine+Chinon) or ORM. This combination emits negative ions and far infrared rays which reduce water clustering to speed up drying time – also creating anti-bacterial and deodorant qualities. 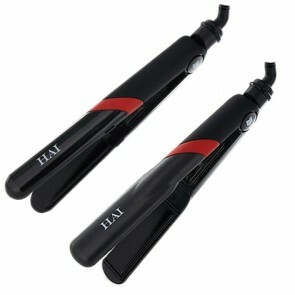 Negative Ion Technology + Far Infrared Rays deeply penetrate the hair heating it from the inside out. This process gently closes the cuticle sealing in color and moisture which allows hair to dry and heat quicker; leaving hair healthier, shinier and full of natural moisture.